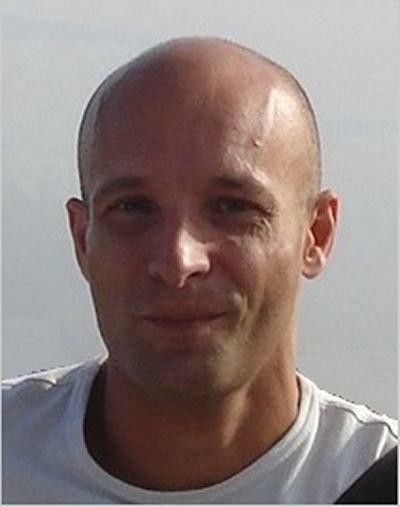 Dr Maurits de Planque is part of the Institute for Life Sciences at the University of Southampton. As Life Sciences Interface Associate Professor in ECS my main research interests are bionanoscience and bionanotechnology, including biosensors and ion channel nanopores. Before I came to Southampton I worked as a postdoctoral fellow in Melbourne and in Oxford, after obtaining a PhD in biophysics and a first degree in (bio)chemistry in Utrecht. I routinely collaborate with a wide range of scientists and engineers, from theoreticians to molecular biologists and clean room experts. I host engineers who are interested in biomedical applications of nanotechnology as well as bioscientists who are keen to gain experience with nano- and microfabrication or high-resolution microscopies. Please have a look at the Research & Projects link for a selection of current projects. I am interested in the interface between the material sciences and the life sciences, a relatively new area that is often referred to as bionanoscience or bionanotechnology when nanofabricated devices are involved. The general aim is to combine the best features of engineered materials, such as cheap and reproducible mass production, with the highly specific biomolecules that are able, for example, to detect the onset of complex diseases before symptoms emerge. My projects include microscale protein expression and functional characterization and microfluidic traps to visualize labelling of white blood cells for individual cells, and collaborations such as the development of disposable nanowire field effect transistors as biosensors for viral infection. The interaction between nano/microfabricated materials and biomolecules is at the heart of bionanoscience and I am not only interested in the functional integration of nanodevices and biomolecules for biosensor development, but also in the potential negative effect of nanoparticles on the human body. For this nanotoxicology research, I use a model system that mimics a cell membrane to assess whether nanoparticles such as carbon nanotubes or silica nanospheres can damage biological membranes. In a synthetic biology approach, the same technology is also used to build an artificial neural network. All these projects -which are suitable for engineers and bioscientists alike- are performed in close collaboration with fabrication experts in the Nano Group of ECS, and with scientists in Biological Sciences, Chemistry, and Medicine. To visualize or characterize the interactions between nanomaterials and biomolecules, I manage a wide range of state-of-the art instruments, including a confocal fluorescence microscope, an environmental scanning electron microscope and a zetasizer. I have access to all the facilities of the Southampton Nanofabrication Centre and am also involved with the Institute for Life Sciences. Most of my people work in the Hybrid Biodevices laboratories (web site under construction) located in the Life Sciences building, and in the rapid prototyping clean room and measurement labs, located in the main Electronics complex. Szymanski, J., Gorecka, J. N., Igarashi, Y., Gizynski, K., Gorecki, J., Zauner, K-P., & de Planque, M. R. R. (2011). Droplets with information processing ability. International Journal of Unconventional Computing, 7(3), 185-200. Toledo, N. C., de Planque, M. R. R., Antoranz Contera, S., Grobert, N., & Ryan, J. F. (2007). Lipid-modulated assembly of magnetized iron-filled carbon nanotubes in millimeter-scale structures. Japanese Journal of Applied Physics, 46(4B), 2799-2805.
de Planque, M. R. R., Rijkers, D. T. S., Liskamp, R. M. J., & Separovic, F. (2004). The alphaM1 transmembrane segment of the nicotinic acetylcholine receptor interacts strongly with model membranes. Magnetic Resonance in Chemistry, 42(2), 148-154. Killian, J. A., de Planque, M. R. R., van der Wel, P. C. A., Salemink, I., de Kruijff, B., Greathouse, D. V., & Koeppe II, R. E. (1998). Modulation of membrane structure and function by hydrophobic mismatch between proteins and lipids. Pure and Applied Chemistry, 70(1), 75-82.
de Planque, M. R. R. (2011). Effect of nanoparticle attachment on cell membrane integrity. In Topics in Particle and Dispersion Science TPDSci Inc.
De Grazia, A., Evans, N. D., & de Planque, M. R. R. (2018). 3D image analysis of endocytosed nanoparticles: towards optimisation of drug delivery for regenerative medicine. eCells & Materials, eCM Meeting Abstracts 2018(Collection 4), 2. De Grazia, A., Evans, N. D., & de Planque, M. R. R. (2018). Microfluidic cell arrays to characterize heterogeneity in bone marrow cell populations at a subcellular level. Poster session presented at Biosensors 2018, Miami, United States. Kalikavunkal, P. C., Scarpa, E., Newman, T. A., & De Planque, M. R. R. (2017). Membrane models for antibiotic delivery with polymersome nanoparticles. Poster session presented at Network for Anti-Microbial Resistance and Infection Prevention Summer Conference 2017, Southampton, United Kingdom. Chang, K., De Planque, M., & Zauner, K-P. (2016). Fabricating millifluidic reaction-diffusion devices: droplet-in-oil networks structured by laser cutting. Paper presented at IEEE Symposium on Foundations of Computational Intelligence (FOCI), Greece. De Grazia, A., Evans, N., & De Planque, M. (2016). Imaging of microfluidically arrayed immunolabelled bone marrow cells. Poster session presented at Future Investigators of Regenerative Medicine, Girona, Spain. De Grazia, A., Evans, N. D., & de Planque, M. R. R. (Accepted/In press). Microfluidic cell arrays for characterization of stem cell differentiation. Poster session presented at European Chapter Meeting of the Tissue Engineering and Regenerative Medicine International Society 2016, Sweden. Ivica, J., Williamson, P. T. F., & de Planque, M. R. R. (2016). Optimization of parameters for nanopore resistive pulse sensing of microRNA. Poster session presented at 60th Annual Meeting of the Biophysical Society, United States. Ivica, J., Williamson, P. T. F., & de Planque, M. R. R. (2016). Quantification of microRNA with alpha-hemolysin nanopores. Poster session presented at Membrane Pores: from Structure and Assembly to Medicine and Technology (The Royal Society), United Kingdom. de Planque, M. R. R. (2015). Developing microscale apertures for ion channel recordings with ultra-stable lipid bilayer membranes. 9th International Symposium on Medical, Bio- and Nano-Electronics & 6th International Workshop on Nanostructures and Nanoelectronics, Japan. Kalikavunkal, P. C., & de Planque, M. R. R. (2015). Microvolume tuneable dialyser for mass spectrometry. Poster session presented at 19th International Conference on Miniaturized Systems for Chemistry and Life Sciences (MicroTAS 2015), Korea, Republic of. Ghazali, N. A. B., Ebert, M., Ditshego, N. M. J., de Planque, M. R. R., & Chong, H. M. H. (2015). Top-down Fabrication Optimisation of ZnO Nanowire FETs By Sidewall Smoothing. Poster session presented at 41st International Conference on Micro and Nano Engineering (MNE 2015), Netherlands. Kalikavunkal, P. C., & de Planque, M. R. R. (2014). Cross-flow dialysis for microvolume desalting. Poster session presented at RSC Analytical Research Forum 2014, United Kingdom. Beaugrand, M., Kalsi, S., Gravel, A. E., Johnson, C. D., Wright, J. N., Young, J. C., ... Williamson, P. T. F. (2014). Expression and purification of a functional hERG pore domain for biophysical and electrophysiological studies. Poster session presented at 58th Annual Meeting of the Biophysical Society, United States. Kalsi, S., Saha, S. C., Kiang, K. S., de Planque, M. R. R., & Morgan, H. (2014). Micro-cavity array with shaped apertures for optically and electrically accessible suspended BLMs. Poster session presented at NanoBioTech 2014, Switzerland. Alkhammash, H. I., & de Planque, M. R. R. (2014). Microfluidic white blood cell arrays. Poster session presented at RSC Analytical Research Forum 2014, United Kingdom. Alkhammash, H. I., & de Planque, M. R. R. (2014). Nanoparticle-cell interactions studied with microfluidic blood cell arrays. Poster session presented at CHAINS2014-Chemistry as Innovation Science, Netherlands. Wang, J., de Planque, M. R. R., Kreir, M., & Fertig, N. (2014). Resistive pulse sensing with biological nanopores. Poster session presented at International Workshop on High-Throughput Bilayer Electrophysiology, Germany. King, P. H., Jones, G., Morgan, H., de Planque, M. R. R., & Zauner, K-P. (2013). Belousov-Zhabotinsky droplet mixing on-chip for chemical computing applications. 3rd COBRA Workshop on Biological and Chemical IT, Italy. Kalikavunkal, P. C., & de Planque, M. R. R. (2013). Cross-flow dialysis for microvolume desalting. Poster session presented at NanoBioTech 2013, Switzerland. Friddin, M. S., Smithers, N. P., Lee, A. G., Morgan, H., & de Planque, M. R. R. (2013). Electrophysiology of a cell-free expressed potassium channel in microdroplets without protein purification. Poster session presented at Advances in Microfluidics and Nanofluidics (AMN2013), United States. Kiang, K. S., Kalsi, S., Ritter, D., Unal, N., Morgan, H., Anteney, I., ... de Planque, M. R. R. (2013). Fabrication of tapered edgewall apertures using grayscale lithography. Poster session presented at 39th International Conference on Micro and Nano Engineering, United Kingdom. Friddin, M. S., Smithers, N. P., Lee, A. G., Morgan, H., & de Planque, M. R. R. (2013). Ion channel characterization with microdroplets of protein expression mixtures. Poster session presented at 7th IEEE International Conference on Nano/Molecular Medicine and Engineering (IEEE-NANOMED 2013), Thailand. Alkhammash, H. I., Li, N., Yang, S., & de Planque, M. R. R. (2013). Membrane disruption by silica nanospheres is modulated by surface chemistry and biocoating. Poster session presented at 57th Annual Meeting of the Biophysical Society, United States. Saha, S. C., Thei, F., de Planque, M. R. R., & Morgan, H. (2013). Scaleable BLM arrays for parallel ion channel recording. Poster session presented at 17th International Conference on Miniaturized Systems for Chemistry and Life Sciences, Germany. Kalsi, S., Morgan, H., & de Planque, M. R. R. (2013). Suspended bilayers in shaped apertures enable 24-hour ion channel recordings. Poster session presented at 57th Annual Meeting of the Biophysical Society, United States. Jones, G., King, P. H., Morgan, H., de Planque, M. R. R., & Zauner, K-P. (2012). Autonomous droplets: from neurons to muscles. BioChemIT: 2nd COBRA Workshop on Biological and Chemical Information Technologies, France. Friddin, M. S., Smithers, N. P., Lee, A. G., Morgan, H., & de Planque, M. R. R. (2012). Cell-free expression and electrophysiological measurements of the KcsA channel with interdroplet bilayers. Poster session presented at NanoBioTech 2012, Switzerland. Abraham, C. M., King, P. H., Zauner, K-P., & de Planque, M. R. R. (2012). Selective propagation of Belousov-Zhabotinsky waves in milliscale channels. BioChemIT: 2nd COBRA Workshop on Biological and Chemical Information Technologies, France. Alkhammash, H. I., Li, N., & Yang, S. (2012). Silica nanosphere-induced membrane damage is modulated by nanoparticle diameter, surface chemistry and biocoating. Poster session presented at Colloids and Nanomedicine 2012, Amsterdam, The Netherlands, . Corsi, J. C., King, P. H., Morgan, H., de Planque, M. R. R., & Zauner, K. P. (Accepted/In press). Belousov-Zhabotinsky oscillations inside lipid-enclosed droplets. BioChemIT - 1st COBRA Workshop on Biological and Chemical Information Technologies, France. King, P. H., Corsi, J. C., Morgan, H., de Planque, M. R. R., & Zauner, K-P. (Accepted/In press). Microlitre droplet-in-oil arrays via rapid direct manufacture. Poster session presented at NanoBioTech 2011, Switzerland. King, P. H., Corsi, J. C., Morgan, H., de Planque, M. R. R., & Zauner, K. P. (Accepted/In press). Towards on-chip on-demand microfluidic production and manipulation of droplets for chemical computing. BioChemIT - 1st COBRA Workshop on Biological and Chemical Information Technologies, France. Aghdaei, S., Heslington, T., Rogers, N., Morgan, H., & de Planque, M. R. R. (2010). Assessment of nanoparticle cytotoxicity with on-chip suspended bilayers. 298-300. Paper presented at Proceedings of the 14th International Conference on Miniaturized Systems for Chemistry and Life Sciences, Netherlands. Aghdaei, S., Morgan, H., & de Planque, M. R. R. (Accepted/In press). Silica nanoparticles permeabilize lipid bilayers. 401a-402a. Poster session presented at 54th Annual Meeting of the Biophysical Society, United States. Morgan, H., & de Planque, M. R. R. (Accepted/In press). Suspended lipid bilayers in microfluidic platforms. NanoBioTech 2010, Switzerland. de Planque, M. R. R., Toledo, N. C., Contera, S. A., & Ryan, J. F. (2007). Lipid bilayer functionalization of multiwalled carbon nanotubes. 552a-552a. 51st Annual Meeting of the Biophysical Society, United States. Burch, H. J., Antoranz Contera, S., Toledo, N., de Planque, M. R. R., Grobert, N., Voïtchovsky, K., & Ryan, J. F. (2006). Biosensing with CNx multi-wall carbon nanotubes. 788-789. Paper presented at 2006 International Conference on Solid State Devices and Materials, Japan. de Planque, M. R. R., Toledo, N. C., Antoranz Contera, S., & Ryan, J. F. (2006). Membranes as self-assembling coating of solid state device components: integration of submicron electrical circuitry with biological systems. 5683. Paper presented at 2006 International Conference on Solid State Devices and Materials, Japan. Antoranz Contera, S., Voïtchovsky, K., Hamnett, H., Ramanujan, C. S., Toledo, N., Lemaître, V., ... Ryan, J. F. (Accepted/In press). Bionanotechnology with membrane proteins: mechanics and electronics. 450-451. 2005 International Conference on Solid State Devices and Materials, Japan.